It was already one of the strangest stories the classical music world had witnessed. But the discovery of the late English pianist Joyce Hatto as the greatest instrumentalist almost nobody had heard of, appears to have taken a bizarre, even potentially sinister turn. It was around a year ago that Gramophone’s critics began to champion this little-known lady, whose discs – miraculous performances, released by her husband William Barrington-Coupe on the tiny label Concert Artist – were notoriously difficult to get hold of. Such was the brilliance of this pianist across Liszt, Schubert, Rachmaninov, Dukas and more in a dizzying range – that it was worth making the effort to seek out Concert Artist to get these discs, and they became much sought-after. By the time she died in June 2006, Joyce Hatto was not only a sudden widespread success, she was a cause celebre. To love Hatto recordings was to be in the know, a true piano aficionado who didn’t need the hype of a major label’s marketing spend to recognise a good, a great, thing when they heard it. But at the same time as the cult of Hatto was burgeoning, there were persistent rumours on the internet as to the true origins of the recordings. How, wondered the doubters, could one woman – especially one who had battled cancer for many years – have mastered a range of repertoire and recorded a catalogue that arguably makes her more prolific than even the Richters and the Ashkenazys. However, Gramophone critic Jeremy Nicholas published a letter in the magazine asking anyone who had any evidence of any wrong-doing to come forth. Nobody did, and the matter rested. Until now. Several days ago, another Gramophone critic decided to listen to a Hatto Liszt CD, of the 12 Transcendental Studies. He put the disc into his computer to listen, and something awfully strange happened. His iTunes player identified the disc as, yes, the Liszts, but not a Hatto recording. Instead, his display suggested that the disc was one on BIS Records, by the pianist Lazlo Simon. Mystified, our critic checked his Hatto disc against the actual Simon recording, and to his amazement they sounded exactly the same. In then went a recording of Hatto playing two Rachmaninov Piano Concertos and, sure enough, iTunes listed it as another – by Yefim Bronfman, conducted by Esa-Pekka Salonen, on Sony. Again, the critic compared, and again he could hear no difference. Gramophone then sent the Hatto and the Simon Liszt recordings to an audio expert, Pristine Audio’s Andrew Rose, who scientifically checked the soundwaves of each recording. They matched. “Without a shadow of a doubt,” reported Rose, “ten of the tracks on the Liszt disc are identical to those on the Simon.” Of the remaining two, he now feels that he has identified a further one – which he identified as being, again “without a shadow of a doubt” from a CD entitled “Nojima Plays Liszt”, a 1993 release from Reference Recordings. Furthermore, his partner – who is based elsewhere with his own equipment – agrees. More astonishing revelations were to come. The pair then checked a track from a Hatto disc of music by Godowsky, and found that it sounded strange, as if the sound had been tampered with. After running checks, they found that if the music had indeed been manipulated – the time had been stretched by an “audacious” 15.112% (such an extreme stretch accounted for the odd sound) to alter the tone, but that if the stretch was reversed it became clear that the track was identical to that played by the pianist Carlo Grante on a CD issued by Altarus. Rose even created special pages on his website, showing the soundwaves for both the Godowsky and the Liszt side by side with those they match. The listener can compare the tracks simultaneously. It would take many weeks of intensive work to examine all of the Hatto recordings, but it seems clear that at least some of these great performances are identical to other performances available from other recording companies. Contacted for his comments, Barrington-Coupe – who acknowledged that he produced well-nigh all of his wife’s recordings - was at a loss to explain the similarity. Are the Hatto’s fakes? If so, how many? This, it must be suspected, is a story that won’t go away until the full truth is known. I told you so. (Remember my previous post, entitled: "Joyce Hatto--I Suspect a Scam".) I didn't think that they would go so far as to copy and electronically alter previously issued, in-copyright recordings, though. I suspected that they had a number of unknown pianists, perhaps recent conservatory graduates with a billion fingers of steel each and no likelihood of a serious recording career in this market, make those recordings. I couldn't see any single pianist playing such a range of repertoire, from Schubert to Liszt to Messiaen, so well. (Well, I was right about that; it wasn't a single pianist!) We will see how this plays out, but a lot of critics will have oeuf all over their faces if those recordings turned out to be electronically reprocessed frauds. I love it! A forgery! I smell a novel in there somewhere. I also smell a lawsuit (or several lawsuits). I'll bet the copyright attorneys for Sony, Bis, Reference, and Altarus (and maybe a lot more) are already revving up their word processors. Remember, these are recent recordings fully protected as phonorecords and sound recordings under copyright law. Mr. Barrington-Coupe won't have tuppence left to his name once they get through with him. How could he get away with this? Thank you, Pizza! How could anyone believe all that hype about a pianist no one ever heard of, with all those credentials? But I, like many others, didn't have a clue - just doubts. This is an important post for pianophiles. Let's see if anything else surfaces. I didn't hear any of the recordings, and I would be presumptuous to say that I am enough of an expert on either piano playing or sound recording to judge how good she really was (although a few years ago, when I heard a sample of Helfgott's playing of Mendelssohn, the deficiencies were readily apparent even to me). There were just too many inconsistencies and holes in the narrative that was presented. My suspicions were further aroused when no one ever heard her actually playing or even practicing. How could any single pianist have made all those recordings over such a short period of time, particularly when the repertoire was so divergent (i.e., Schubert versus Prokofiev)? I have looked at the Pristine Audio website and will listen to the samples there when I get a chance. The funny thing was that I was just about convinced that I had been wrong and paranoid and was planning to buy some of the recordings from England. The only thing that stopped me is that I didn't want to overspend my budget and upset my dear, sweet, ever-loving wife, particularly in view of the current cruddy dollar/pound exchange rate (blame Shrub and his reckless war spending!). (They never got US distribution for any Hatto recordings, according to ArkivMusic, although they were supposed to.) I didn't want to spend something like $22.00/disc duplicating repertoire I pretty much already had in good performances, or what I thought were good performances. What would be poetic justice would be if Mr. Barrington-Coupe were to have ripped off some recordings from Hyperion, which has a stable of top pianists (Hough, Hamelin, Hewitt, Demidenko, et al.) and they recover enough to offset the damages they had to pay in the ill-advised Sawkins case. 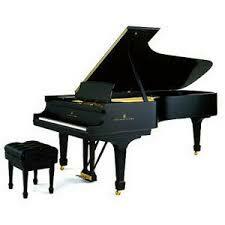 Of course, they would then turn around and use the money to produce more real recordings by real pianists. Modernistfan wrote: I also smell a lawsuit (or several lawsuits). I'll bet the copyright attorneys for Sony, Bis, Reference, and Altarus (and maybe a lot more) are already revving up their word processors. Remember, these are recent recordings fully protected as phonorecords and sound recordings under copyright law. Mr. Barrington-Coupe won't have tuppence left to his name once they get through with him. How could he get away with this? A lawsuit seeking an injunction might make sense. I have a hunch that there's little money here in a suit for damages. Don't assume Barrington-Coupe is wealthy or that his assets are readily located. If the action is brought in England there will be significant costs. Well, I had my doubts as well. To this day, I have never acquired a Hatto disc. And, as a pianophile, I was beginning to wonder if I was out of the picture insofar as current piano recordings go. My instincts told me something was rotten in ... England (not Denmark, as the saying goes). I have many of the Sergio Fiorentino CDs from Concert Artists, and even caught one very serious glitch in one of the recordings (bad master from which they duplicated subsequent copies, one whole section left out. My memory thinks it was Fiorentino's Beethoven, Op. 111). Concert Artist made it right, brought back all the unsold copies that were in distribution and issued new ones and sent me a good copy. Now I am beginning to wonder if even the Fiorentino discs are authentic. Perhaps Hatto and her husband were desparate given her illness, etc., and needed funds to live and to keep this plot going. (Was she, in fact, really ill?) If this all turns out be true and Hatto's recordings are all fake, it will undoubtedly put him totally out of business. Why wouldn't someone alert to piano recordings recognize the similarity between the BIS and Concert Artist recordings rather than wait for the computer to present the actual "facts?" I've ordered two giant economy size cases of crow for the folks at Musicweb Int'l and Classics Today. Harold Tucker wrote: I've ordered two giant economy size cases of crow for the folks at Musicweb Int'l and Classics Today. Did you buy some Hatto discs from them? Well, let's see what happens. There is a slight (very slight) chance that perhaps not ALL of the Hatto repertoire is fake. The Hatto hoaxers had good taste. The Bronfman/Salonen recording of Rachmaninoff's second concerto is the best I ever heard. I don't know. It sorts of sounds like a pretty big scam at this point. Maybe Joyce Hatto did some good work decades ago but she seems to have been turned into a phantom cottage industry. Silenced, too, were opera stars Anna Moffo, Elisabeth Schwarzkopf, Leopold Simoneau, Lorraine Hunt Lieberson, Enrico Di Giuseppe, Astrid Varnay, Norman Kelley, and Robert McFerrin; composers James Tenney, Gyorgy Ligeti, Arlene Zallman, and Malcolm Arnold; pianists Edward Aldwell, Joyce Hatto, and Leonid Hambro; oboists John Mack and Ralph Gomberg; and violinist-conductor Milton Katims. 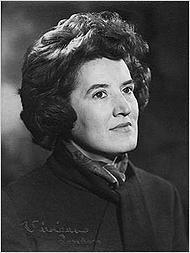 Born in London she sought advice from a wide variety of sources including Cortot, Clara Haskil and Richter (a goodly trio if ever there was one), Hindemith and Nadia Boulanger. Calm and indomitable from the start, she rejected a more conventional Conservatoire education after the Royal Academy of Music had told her that a career as a pianist was a daunting prospect for a young girl who would be better employed learning how to cook a good roast. During the 1940s and 1950s she appeared with conductors such as de Sabata, Beecham, Kletzki and Martinon and even when diagnosed with cancer at the age of 41 she toured Russia and Scandinavia to the highest critical acclaim. Very much an artist for whom the spirit of the composer came first, Joyce Hatto's rich legacy will surely be considered and discussed by all serious musicians long after her recent passing. No, I didn't buy any: but I was sorely tempted by the reviews. If they had been more easily available in the U.S. no doubt I would have. Ralph, you are right. Mr. Barrington-Coupe may be more or less judgment proof. However, they may have sold thousands of these faked recordings at $20 and more a pop. If they sold 3000 copies of each of the 119(!) recordings, that would be more than $700,000 at current exchange rates. "A contributor to The New Grove, Tom Deacon’s Great Pianists of the 20th Century series (Philips) and International Piano, ATES ORGA was for some years Lecturer in Music at the University of Surrey before taking up an appointment at Istanbul Technical University in 2000. Marc-André Hamelin, Vladimir Krainev, Piers Lane, and Nikolai Petrov." "A survivor of the Holocaust gone missing in the murky wastelands and unspoken history of Cold War Europe, René Köhler (1926-2002) conducted Joyce’s concerto recordings during the ’90s, directing two ad-hoc studio orchestras – the National Philharmonic-Symphony and the 68-strong Warsaw Philharmonia. Modernistfan wrote: There were just too many inconsistencies and holes in the narrative that was presented. My suspicions were further aroused when no one ever heard her actually playing or even practicing. How could any single pianist have made all those recordings over such a short period of time, particularly when the repertoire was so divergent (i.e., Schubert versus Prokofiev)? Unless the Swedish press releases of her live concerts in Stockholm from the '70s are figments of the imagination, or were misquoted (they mention Rachmaninoff, Liszt, Schubert and Scarlatti) she had a wide enough range of repertoire to have produced the recordings. Whether or not she did is another matter. If she recorded any Spohr or Schnabel I'll have to look into it further. Just speculating, the price of secondhand, supposedly, Hatto recordings will go through the roof, or am I being too cynical? Well, the thought cheered me up a bit. GK wrote: The Hatto hoaxers had good taste. The Bronfman/Salonen recording of Rachmaninoff's second concerto is the best I ever heard. The latest word is that some of the Hatto "performances" were actually from Liberace. Quite an elaborate scam, technically. I wonder if it was truly lucrative. Ralph wrote: Quite an elaborate scam, technically. I wonder if it was truly lucrative. Maybe they just did it because they could. Ah, 'twould be SO NICE if you could bring some to US! A Pianist’s Recordings Draw Praise, but Were They All Hers? PARIS, Feb. 16 — In the autumn of her life, decades after she had last performed in public, the British pianist Joyce Hatto was rediscovered by a small group of musicians and critics who contended that her recordings of Chopin, Rachmaninoff, Liszt and others ranked alongside those of the 20th century’s most exceptional virtuosos. Mr. Nicholas and others, it seems, had accepted the explanation for her lack of renown among music lovers: a long battle against cancer had forced her to abandon her concert career in 1976 and led her to devote her energy to recording all the great works in the piano repertory, from Scarlatti to Messiaen, for the small British label Concert Artist. “Joyce Hatto must be the greatest living pianist that almost no one has ever heard of,” Richard Dyer wrote in The Boston Globe in 2005. But now Ms. Hatto’s reputation for excellence and originality has been shaken by a charge of plagiarism. Gramophone, the London music monthly, has presented evidence that several of the recordings issued under her name were in fact copied from recordings of the same music by other pianists. In an article posted on the magazine’s Web site (www.gramophone.co.uk), Mr. Inverne said initial doubts about Ms. Hatto’s recordings had been confirmed by a sound engineer, Andrew Rose, who compared the sound waves of her recording of Liszt’s 12 “Transcendental Études” with those of an earlier version by Lazlo Simon. In 10 of the études, the sound waves were identical. Mr. Rose, who runs Pristine Classical, a small company based near St. Émilion in southwest France, has since created a Web page (pristineclassical.com/HattoHoax.html) where Liszt recordings by Ms. Hatto can be heard alongside those by Mr. Simon and one by the Japanese pianist Minoru Nojima. Mr. Rose has also concluded that Ms. Hatto’s supposed recording of Godowsky’s studies after Chopin études was in fact the work of Carlo Grante. The findings have stunned admirers of Ms. Hatto, who in just the last two years have promoted what began to resemble a cult. William Barrington-Coupe, Ms. Hatto’s husband and the owner of Concert Artist, which issued more than 100 of her recordings (available online at concertartistrecordings.com), is perhaps the only person who can clear up the mystery. But he could not be reached at his home near Cambridge on Friday and did not respond to telephone or e-mail messages. As it happens, questions about the authenticity of Ms. Hatto’s recordings had for some time been aired in Web chat by music lovers who asked how it was possible for an aged and ailing woman to record so much. They also pointed out that most of Ms. Hatto’s more than 100 CDs were issued over the last 10 years and a number since her death. These doubts prompted Mr. Nicholas to write a letter to Gramophone last July asking for evidence of possible fraud. “No one came forth,” he said. Then, this month, Jed Distler, a composer and music critic who was among Ms. Hatto’s admirers, contacted Mr. Inverne with a strange story. When he put the Hatto CD of the Liszt études into his computer, Mr. Inverne recounted, “his iTunes player identified the disc as, yes, the Liszts, but not a Hatto recording.” Instead, it identified Mr. Simon as the performer. Looking for scientific evidence of a hoax, Mr. Inverne then sent the Hatto and Simon recordings to Mr. Rose, a former sound engineer for the BBC. Mr. Rose said that the Liszt recordings were easy to identify as those made by Mr. Simon, but that the Nojima recording had been “manipulated” to disguise its origin. On Tuesday, February 13, a CT.com reader, Mr. Brian Ventura (who kindly granted me permission to identify him by name) sent one of our writers, Jed Distler, a very remarkable email which he kindly forwarded to me. It seems that the reader had purchased a copy of Liszt’s Transcendental Etudes with Joyce Hatto on the Concert Artists label, based on the numerous recommendations this pianist and recording had received (including our own). When he attempted to transfer this recording via his computer using iTunes, the track listing revealed the artist as Laszlo Simon, who recorded the same music for BIS. Comparing the Hatto to sample tracks of the Simon available on Amazon.com, the reader was shocked to realize that the two performances appeared to him to be identical. That was the substance of his email to us. “I became fascinated by Joyce Hatto's story when I first read my colleague Jeremy Nicholas' feature overview of her recordings published in the January 2006 Gramophone. Because Jeremy is not one to gush, I was intrigued by his favorable, often ecstatic comments on the performances. In late February 2006, I contacted William Barrington-Coupe (Hatto's husband and the owner of Concert Artist), and he sent me a sampler culled from the Hatto catalogue. The sampler impressed me - indeed, certain selections bowled me over. Our subsequent e-mail and telephone exchanges couldn't have been more collegial and friendly. Eventually Mr. Barrington-Coupe sent me a review copy of the Liszt Transcendental Etudes, and when I met him in person in London this past September, he gave me a large quantity of CDs for review purposes. It crossed my mind that the sheer quantity of recordings and consistent high artistic quality seemed too good to be true. Still, I assumed that the artist in question and recording information were accurate, at least insofar as the titles I reviewed for Classicstoday.com. I gave five of them 10/10 ratings for highest artistic and sonic quality. When I received Brian Ventura’s e-mail I decided to investigate further. After careful comparison of the actual Simon performances to the Hatto, it appeared to me that 10 out of 12 tracks showed remarkable similarity in terms of tempi, accents, dynamics, balances, etc. By contrast, Track Five, Feux Follets, sounded different between the two sources. I reported my findings to Mr. Ventura, and cc'd Classicstoday.com editor David Hurwitz. I also cc'd Gramophone's editor James Inverne, plus three of my Gramophone colleagues who had written about Hatto. Then I wrote Mr, Barrington-Coupe. He quickly replied, claiming not to know what had happened, and to be as puzzled as I was. At James Inverne's suggestion, Andrew Rose contacted me, and I uploaded three MP3s from the Hatto Liszt disc. Andrew's research confirmed what my ears suspected: at least two Liszt tracks were identical between BIS and Concert Artist, while at least one was not. Apparently this matter has fueled further investigation of Concert Artist releases credited to Hatto, along with the label's numerous CDs credited to the late Italian pianist Sergio Fiorentino. Let me say that I fully stand by what I wrote about the performances, and look forward to learning their authentic provenance. And I look forward to redirecting my positive comments towards the artists who deserved them in the first place, whomever they may be. In a further effort to get to the bottom of this anomaly, I contacted Mr. Barrington-Couple independently to seek clarification, and that is where the matter stands at this point. Meanwhile Gramophone, sensing a “scoop,” rushed onto its website a somewhat skewed version of this story, with the actual sequence of events and persons involved glossed over or omitted entirely (and this is the version reprinted in various other publications as well). I do understand Gramophone’s motivations, and really don’t care about being first past the post. This has the makings of a critic’s nightmare for the publications most committed to Hatto’s work. After all, if these discs turn out to be fake, as seems likely, and if the same critics who praised them to the skies panned their original incarnations, then it won’t just be Hatto and her label who wind up with mud on their faces. And Gramophone has, alongside MusicWeb, been Hatto’s most ardent champion. That said, I firmly believe that critics who review music based on what they actually hear, rather than what the name of the artist leads them to believe they ought to hear, have little cause for concern. No rational person expects anyone, professional critic or layman, to be able to identify blindly any but a small handful of favorite recordings of any one piece. This is particularly true when one accepts as given that fact that the new recording really is new, however similar to others it may sound--never mind that the “pirate” may have tweaked the transfer in any number of subtle and not-so-subtle ways to disguise its origins. With dozens, if not hundreds, of available versions of most repertory standards, and the catalog in a constant state of flux regarding both new and reissued material (including countless tiny independent and “vanity” labels full of unknown artists), reviewing recordings these days evidently involves a small but real element of risk. We critics have a choice: to stick only to major labels (or the remnants of them) and the certified “big” artists, or to try to identify and promote excellence wherever we find it; to give new artists and their small, often financially strapped companies their day in the sun; and to try to sift out the wheat from the chaff for our readers, regardless of provenance or the trappings of fame. The process necessarily begins with a perfectly sensible leap of faith: trust in the identity of the performers. Beyond a fair and accurate appraisal of the music on the disc, discovering fraud must necessarily be a matter of chance and opportunity. It is no more the critic’s job than it is the purchaser’s. And while this event will no doubt be turned into a Big Deal as the usual factions grind their usual axes, the fact is that 99.9% of all classical music productions are entirely honest, and critics are correct in believing them so and in giving them the benefit of the doubt. Besides, it’s probably too much to ask the victims of a hoax--what may turn out to be a very, very good one at that--not to pass up the opportunity to rain down curses on the perpetrators. Music critics in general aren’t known for their sense of humor, particularly when it comes to laughing at themselves. Bernard Shaw was an exception, of course, but then he was more a brilliant writer than a factually accurate critic. I almost hope that Miss Hatto and her husband engineered this whole thing to teach a lesson to the “establishment” that effectively forced her into premature retirement from the concert stage in the first place. What a delicious bit of revenge that would be! The only real problem is that the public is also involved, and to deceive innocent music lovers into spending their limited budgets on recordings they otherwise would not want or need really is unforgivable. As for Mr. Barrington-Coupe, he can very easily answer his accusers. He is being accused of stealing, among other things, entire concerto recordings. As I told him a few days ago, either he hired an orchestra, engineers, a recording space, a conductor, and paid them all, or he did not. Even Ms. Hatto’s solo recordings were not made just by her husband alone. In short, many others were involved, and they are even credited on the booklet jackets. Let some of these parties come forward and acknowledge their participation. Let Mr. Barrington-Coupe produce receipts, schedules, or whatever documentation is in his possession. He should do it quickly; the longer he waits, the worse the situation looks for him. And if he has been the victim of “the old switcheroo” at some stage in the production process, he at least ought to have original master tapes of his wife that sound markedly different from the fakes. If so, let’s hear them under conditions that brook no uncertainty regarding their authenticity. Incidentally, in addition to the fake performances already listed on various websites, Hatto’s Saint-Saëns Second Piano Concerto appears to be the Collard/Previn on EMI. Concert Artists has issued it twice, at correct pitch in tandem with the Tchaikovsky Second Concerto, and a half-tone flat (and time-stretched) alongside the same composer’s Fourth and Fifth Concertos. Her Ravel seems to be Roger Muraro’s cycle on Accord (Universal Classics France), recorded in May, 2003. It’s worth pointing out in this case that the La Valse is a special edition prepared by Muraro, and in his review Jed noted the unique textural layering in just this performance. The Muraro cycle was never released in the United States and consequently was not reviewed by ClassicsToday.com. It seems that a pattern is emerging that Hatto hunters may want to keep in mind. The perpetrator seems to be avoiding (so far) the wholesale raiding of British independent labels, for the obvious reason that this would risk detection at home. This may also explain why Concert Artist has been so unwilling to seek international distribution, despite many requests and the urging of Hatto fans. Can it be that what began as a small-scale local scam took on a life of its own? Adding further evidence for this hypothesis, Hatto’s Messiaen Vingt Régards is listed in the Gracenotes database as Paul Kim’s Centaur recording, though this latter surmise is still subject to further confirmation. Jed reviewed the Kim for us on its initial release some time ago, and his rating for artistic quality was exactly the same as that given to Miss Hatto’s recording: 8. The rating for sound varied from 7 (for Kim) to 9 (for Hatto), but this can be explained by the fact that the sonics of the originals have been almost invariably altered in the transfer process. One particularly startling example is Feux follets, from the Liszt Transcendental Études, which sounds so different from the original (Nojima on Reference Recordings) that the much smoother articulation at first suggests a different performance altogether. At the heart of this whole controversy, the real question isn’t so much what Hatto and her husband may have done. It is “Why?” As I’ve already pointed out, it’s not difficult in today’s digital marketplace to engineer a fake, but there’s so little money in doing so that one can only wonder why anyone would want to bother. What on earth is the point in taking famous recordings by major artists and issuing them on a vanity label (with no international distribution) as the work of a virtually unknown recluse? The sheer level of chutzpah involved in lifting entire concerto recordings wholesale from major labels (including the Haitink/Ashkenazy Brahms Second Concerto, or the Bronfman/Salonen Rachmaninov Second and Third Concertos) is either breathtaking, or simply insane. So let’s all keep an open mind until all the facts are in, and Mr. Barrington-Coupe has an opportunity to answer his critics and make his case. Everyone is innocent until proven guilty, and damning as the evidence appears, it still is not proof of direct culpability. Something surely happened; just how and why we don’t know yet. Besides, behind all of the hot air and self-righteous pretension, both current and to come, I suspect most of us will be enjoying ourselves. After all, at a minimum, everyone loves a scandal, and the hunt to discover how much Hatto is real, and how much is not, ought to provide classical music fans with many hours of pleasant diversion. Finally, if it hadn’t been for the passion of one music-loving reader, Mr. Ventura, would we even be having this conversation? Let’s give him, and Jed, the credit they deserve for caring, and doing the right thing with speed, thoroughness, and tact. We are at the beginning of a process; there will be many more revelations to come, and I am happy to leave it to those far more involved than we ever were in Miss Hatto and her work to report on them. We have many other CDs to review, and no shortage of fine, hopefully authentic recordings to bring to your attention. Mr. Hurwitz's article is right-on! It was also interesting to note that Robert von Bahr of BIS would not press charges if this was all done because of the love Hatto's husband had for her. If HE doesn't press charges, could the courts STILL bring the BIS recording out as an example of what might be a terrible wrong-doing? Now, I'm questioning whether all my Concert Artist recordings of Sergio Fiorentino are "real." I also have all those that Appian (APR) issued. If Concert Artist has gotten away with this now for this long a period, one wonders who else might be doing it. WHAT a can of worms this could turn out to be! Thank you, Harold, for sharing this article. Lance wrote: Mr. Hurwitz's article is right-on! It was also interesting to note that Robert von Bahr of BIS would not press charges if this was all done because of the love Hatto's husband had for her. If HE doesn't press charges, could the courts STILL bring the BIS recording out as an example of what might be a terrible wrong-doing? Courts don't bring anything "out," lawyers present evidence as part of their case. So if there is a lawsuit against anyone alleged to have engineered this apparent scam, BIS or any other recordings may be relevant evidence notwithstanding von Bahr's position. He's a lawyer by the way and I suspect his unwillingness to sue has more to do with a realistic appraisal of litigation costs versus likelihood of damages than anything else. While I fully admit my own laziness in this endeavor, I must point out that none of the articles posted here (nor any of the ones I have read online during my ridiculously lengthy daily music site check-ups) include any first-hand accounts of her prowess. You would think that there would be a small army of hard-core Hatto fans from her performing days eager to get some media attention with their forceful defense of her artistry, having seen its glory in person. Of course, this may be going on, and I am fully unaware of it. But I haven't even found someone in the piano forums who has come forward as a primary source. By far my favorite part of this is the invention of her conductor. Whatever Frankensteiny electronic processes went into making whatever portion of her 100+ albums, it took a wildly creative, tequila-induced night of mad-libs to create "René Köhler." Of course, I'll say that, and then he will turn out to be the one true thing in all of this. Last edited by ironchefrm on Tue Feb 20, 2007 6:14 am, edited 1 time in total. Update, Maestro Kohler does appear to be a pretty cool Scandinavian singer-songwriter (umlauts and accent aigu all in the right place). I guess he got lost in the "murky wastelands" up by the aurora borealis and not, say, Poland. Who knows? Maybe now the heretofore "unspoken history of Cold War Europe" will be captured in bluegrassy Scandinavian folk song! The classical music community of exceptional talent is small. Had there been such an artist playing good things in private for thirty years, one would think that word would have leaked out long before the new millennium. To hire orchestras and conductors? Well, this sort of thing does not go unnoticed, especially if they all must report to a small husband and wife operated studio. Rene Kohler and his band of unreknown, where are you? Over one hundred recordings marketed by her husband, for the new millennium. Run for the hills with plastic safeguarded. A saying revised for the new millennium, "There is a sucker born every second." BorisG wrote: The classical music community of exceptional talent is small. Had there been such an artist playing good things in private for thirty years, one would think that word would have leaked out long before the new millennium. That some artists of exceptional talent have withdrawn from the concert circuit for a considerable period of time while continuing to play in private is indeed rare, but not unheard of. It's been a long time since I read Ronald Smith's biography of Alkan, and I'm too lazy to look up the details now, but as I recall, he suddenly withdrew from the concert stage at the height of his performing fame and became a recluse for many years. Toward the very end of his life, he reappeared before an entirely new generation of music lovers, many of whom had never heard of him and gave a few recitals. Here's an LP listing on eBay attributed to Ms. Hatto. Recorded in 1963 it's titled Music from the Films. She made a recording of Bax's Symphonic Variations for Piano and Orchestra in 1971 with Vernon Handley, who could perhaps offer some insight insight into this artist if he recalls working with her. If this is an elaborate hoax, the perpetrator has a great knowledge of the piano repertoire and recordings. burnitdown wrote: I bet she lip-synched it. In a private e-mail to one of our critics, William Barrington-Coupe has refuted any accusations of wrongdoing – adding that a friend of his had compared the Bronfman and Hatto Rachmaninovs and thought the Hatto far superior. Barrington-Coupe also, the critic reported to Gramophone, asserted that Hatto had made the Godowsky recording using her own hand-prepared copies of the scores made when she was 16. He further identified recording venues used for the recordings as mainly colleges and churches where he used mobile recording facilities. He stated his intention to have his own sound engineer prepare his own comparisons. Well, if he did that there ought to be some substantiation. You can't just walk into a church or, especially, a college and start recording a performance by an outsider. Last edited by Ralph on Tue Feb 20, 2007 10:31 pm, edited 1 time in total. Are we really to believe that Ms. Hatto in fact prepared a copy of the Godowsky Etudes in 1942, presumably with notations as to dynamics, fingerings, and other issues relevant to performing these very difficult works, and then waited 50 years or more to record them? That is as hard to accept as the "biography" of "René Köhler." Why is Mr. Barrington-Coupe digging himself in deeper? (At least my originally suspected scheme would not have subjected him to liability for copyright infringement and record piracy, although he might still have been liable to purchasers for misrepresentation.) Can he somehow have persuaded himself that these recordings are genuine? I would like very much to hear from Vernon Handley regarding his collaboration with Ms. Hatto on the Bax. Modernistfan wrote: Why is Mr. Barrington-Coupe digging himself in deeper?